I have been sharing my love of Yoga within the community for many years, and am proud to support a number of community groups and charities. I’d like to give you a flavour of the sustainable ‘Karma Yoga’ that myself and my students have been involved with over the years, and how the beneficial effects are manifested for the Self and others. 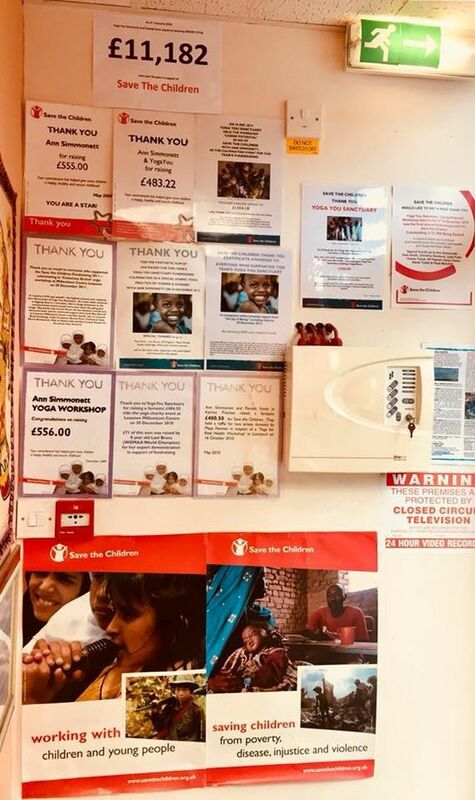 Yoga You has raised more than £11,182.00 since December 2005 for Save The Children, plus hundreds of pounds for various other charities. Here’s a quick rundown of just a few of our past charity and community events. Want to get involved and help too? If you’d like to get involved with our Karma Yoga events, please see our upcoming charity events on the News & Events page. An amazing £900 has been raised for this years Yoga You Sanctuary fundraising for Save The Children on 28 December 2012!! Thankyou so much to all who participated their time and energy to make this happen. Special thanks go to 10 year old Lani Bruce for her amazing marshall arts demo see photos here to let the good vibes radiate in all directions as conscious agents of change in the Satya Yuga. Raffle Prize winners at the Save The Children workshop were Teresa Hiles (Zumba prize), Teresa Tysoe (Pam Smith voucher) and Sylvia, one of Kathy Ashbridges student’s, won a Yoga You Sanctuary voucher. 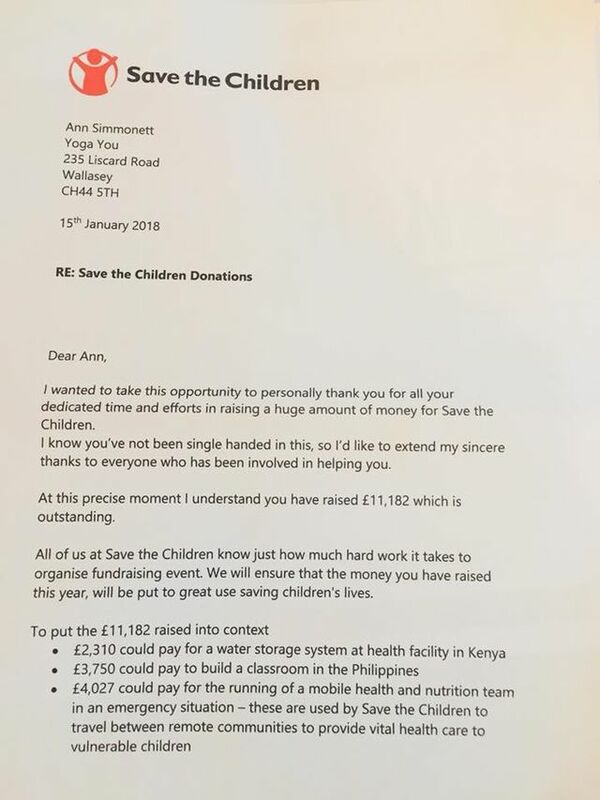 When I collated all the monies the actual amount was in fact £863, and I was ‘blown away’ when Lani Bruce (mentioned above) offered to donate £37 of her own money to make it a round £900!!! What a beautiful generous soul she is. Thank you so much to everyone who supported the Save The Children Fundraising during 2011, culminating in our ‘Conscious Action’Yoga workshop at Millennium Centre Leasowe on Thursday, December 29th, 2011.A massive £1070 was raised – the highest amount ever from Yoga You and at a time when everyone is digging deep. This is a huge testament to the compassionate hearts people have even when the going gets tough.A big thanks also to Lani Bruce for her fantastic Kung Fu demonstration – well done Lani. We had a good turn out on the day and 34 places sold and so it was of great mutual benefit and I quoted the words of swami Maheswaranander teachings with regard to Karma Yoga “Helping hands are worth more than praying hands”. The money raised totalled £484.50, and comprised £394 via my yoga workshop and 2 holistic raffle prizes from myself and Pam, and a further £71 sponsorship money from Pam’s eight year old grand daughter, Lani Bruce (a world champion Kung Fu gold medallist in her age group – see Lani Bruce on You Tube). She did a stunning Kung Fu demonstration before she drew the raffle tickets. This now takes this years fundraising to £865.50 for Save The Children. Thank you to everyone! Ann Simmonet and Pamela Smith in ‘Karmic Practise’ raised a fantastic £400.50 for Save The Children. They held a raffle for two prizes donated by Maya Fiennes in respect of a ‘Yoga for Real Health’ workshop in Liverpool on 16 October 2010. 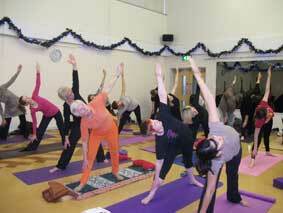 In December 2009 Yoga You raised £556 for Save The Children. In May 2009 Yoga You raised £483.22 for Save The Children. 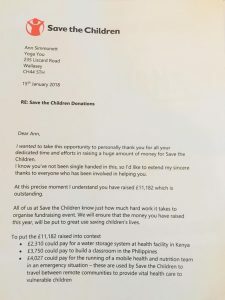 In April 2008 Yoga You raised £555 for Save The Children. 36 students were guided through a 2-hour yoga session by Ann, working on Chakra balance in asana and meditation, integrating key aspects of pranayama, which proved to be both enjoyable and beneficial. We raised a wonderful £385 for Save The Children. £493 was raised for the International Hermeneutic Society (Tan Y Garth Hall) following a yoga retreat in Ambleside in August 2007. Myself and 12 students represented the British Wheel of Yoga in a stage demonstration entitled ‘Yoga for all Abilities’ to promote both the BWY and Yoga. The students represented a cross section of abilities, levels of health and fitness, and we performed a variety of preparatory postures: variations of Marjaryasana, Adho Mukha Svanasana, Bhujangasna, and appropriate counterposes with modifications according to need. It was an enjoyable experience for all, and we had quite a few enquiries about BWY after. Thank you to all involved. 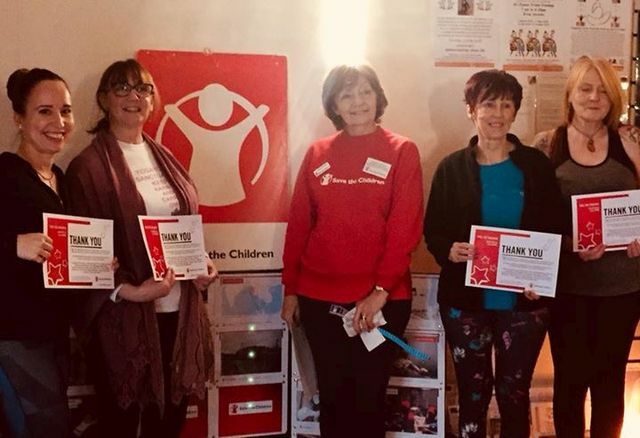 50 students attended a full day of Yoga to raise money for Save The Children, with Ann teaching in the morning, while Pam and Gordon Smith guided everyone through two devotional meditations in the afternoon, followed by a session of mantra and chant with Janet Irlam. Thanks to everyone for helping us raise a phenomenal £636.50. The theme of the practice was ‘Positive Action’, designed to raise spirits and create good internal energy, and at the same time helping to generate and share a little more energy (of a financial nature!) for a very worthy cause – Claire House Children’s Hospice. Myself and 40 Yoga You students raised a wonderful £350 for this very worthy cause. Ann and holistic therapist Ruth Parker voluntarily organised a fun and unique Yoga weekend in Ambleside for 40 students. With a full and varied programme of activity, the students were treated to Hatha Yoga classes, mantra and chant sessions, meditation and relaxation, plus Indian Head Massage taster sessions and an introduction to basic massage techniques.. With en-suite accommodation at St Martins University College, breakfast and evening meals also included in the cost, the students were treated to a highly memorable and enjoyable experience. And we also managed to raise £145.23 for Tan Y Garth International Hermenutic Society. Our wonderful students raised £232 for their Uganda appeal. 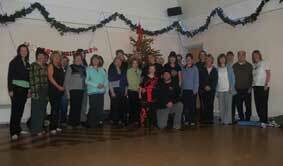 £30 was raised for Macmillan Cancer Research during our Festive half-day seminar.